God, so I must copy and paste all I posted in that thread. And why the subtitle "not Atlantis"? Who cares about Atlantis? 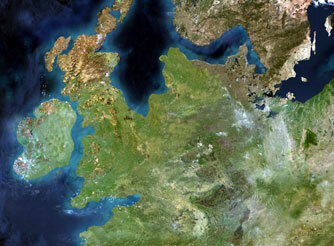 just hoping to keep it from being turned into if doggerland existed then atlantis had to have existed thread. Im thinking that the sea level rise research I have is 1. making a conclusion based on a world wide average. and 2. the slide data might not have been available at the time of the study. either way doesn't matter to me. the newest research just gets added into what I have and theory's get changed. OK, I will try to copy and paste what I posted in the Noah thread, just to have all the info nicely tucked together.. Personally, I think it's rather strange that - as far as I know - there are no flood legends from countries around the North Sea, originating from the Storrega Slide. Maybe it's because there were not enough people around, but I am conivinced that the huge tsuanami that whiped 'Doggerland' from the map would have had a lasting impact on the minds of any people surviving in the countries surrounding the present North Sea. There was very little settlement in the lower lands of Germany/Denmark/Holland in prehistoric times, mostly because it was more a swamp than dry land. Most of the North sea settlements happened along the hill ridges hundreds of miles away from the sea. So most of whatever happened there was witnessed by hardly a soul. I'm not sure that was the situation 8000 years ago, not long after the end of the last ice age. The vast areas of swamps appeared a lot later as far as I know. There could have been tribes each of a couple of hundred people in number wandering around these areas, areas that were not completely soaked with water, but areas that were still covered with forests and meadows and hills (as they discovered very recently by a study/mapping of the bottom of the North Sea). Dutch and British trawlers have dragged up many stone tools from the bottom of the North Sea in their fishing nets, so maybe the area was not densely populated, but there were many more people living and hunting there than previously thought. You have a point. My cousin lives in an area that lies under the sea-level, in Holland. When he build his house, they found some pottery and shards thereoff, that was examined and found to be a few 1000 years old. This would mean that at some point these parts were not under water as such. Just a couple of thousand years ago these areas that are now below sea level might indeed have been marshes then. Like all landbridges, Doggerland seems to have been a pretty busy thoroughfare for ancient hunters and gatherers. But archaeologists hardly gave it a thought until 2002, when a small group of British researchers laid hands on seismic survey data collected by the petroleum industry in the North Sea. It is thought that the sea level rose no faster than about one or two meters per century, and that the land would have disappeared in a series of punctuated inundations. According to marine archaeologist Nic Flemming, a research fellow at the National Oceanography Centre of University of Southampton, UK. "It was perfectly noticeable in a generation, but nobody had to run for the hills." Although hunter-gatherers usually have any sense of ownership, land would have become an increasingly precious resource as the sea rose, which according researchers Clive Waddington & Nicky Miller might have led directly to the development of sedentism and territoriality. According to Vince Gaffney, a landscape archaeologist at the University of Birmingham, UK, who along with his colleagues Simon Fitch and the late Ken Thomson, Gaffney established the mapping project to outline the terrain of Doggerland, the transformation of Doggerland in only a few thousand years from a harsh tundra into a fertile paradise, and eventually into the northern European landscape that we know today, "put human adaptability to the test"
The three Storegga Slides are considered to be amongst the largest known landslides. They occurred under water, at the edge of Norway's continental shelf (Storegga is Old Norse for the "Great Edge"), in the Norwegian Sea, 100 km north-west of the Møre coast. An area the size of Iceland slumped, causing a very large tsunami in the North Atlantic Ocean. This collapse involved an estimated 290 km length of coastal shelf, with a total volume of 3,500 km3 of debris. Based on carbon dating of plant material recovered from sediment deposited by the tsunami, the latest incident occurred around 6100 BC. In Scotland, traces of the subsequent tsunami have been recorded, with deposited sediment being discovered in Montrose Basin, the Firth of Forth, up to 80 km inland and 4 metres above current normal tide levels. "People think this was a land bridge across which people roamed to get to Britain, but the truth is very different. The places you wanted to live were the big plains next to the water and the coastline was way beyond where it is now. This was probably a heartland of population at the time," Prof Gaffney said. "This completely transforms how we understand the early history of north-western Europe." The northernmost point of the map falls just short of the south coast of Norway, where rising water levels swamped the land around 18,000BC. "This is the best preserved prehistoric landscape, certainly in the whole of Europe and possibly the world," said Prof Gaffney. Noah must have been a Doggerlander (trying to stay on topic here, lol). I feel that the major Flood Myths - Sumerian, Babylonian, Biblical (Christian/jewish), Hindu have all have similarities - a man assigned by god, animals/seeds of life of all living things being collected, a boat being built..etc. These Myths surely has a single point origin. not an amalgamation but of course embellished with additional features as the story passed from generation to generation, through migration from lands to lands. I am particularly interested in this "Doggerland": it sunk beneath the waves (and even catastrophically), it was a large area of land, it happened around 8100 BP, and - contrary to what questionmark assumed - it was very probably much more populated than previously thought, and it must have been sort of a post-ice-age paradise (and again, not the barren tundra as was previously thought). But I keep wondering about the fact that if all the above is true as scientists try to prove, then why are there no surviving myths about this event? It could be that there are surviving myths about the submergence of Doggerland, but hidden away in cryptic descriptions. So I'd like to ask people knowledgable about ancient Scandinavian and/or Celtic and/or Germanic mythology if there is indeed a myth/legend that says anything about land submerging beneath the waves. ad -b- : that means none of the tribes that stayed on what are now the borders of the North Sea. That is Norway, Sweden, Danmark, Germany, Holland, Belgium, England and Scotland. ad -c- : I find that kind of meager, lol. the research I have done on the sea level rise, doesn't seem to show a rapid rise. but Im pretty sure they tended to err towards the moderate rise rates. and Doggerland is not the only Lost land in that area. It did rise rapidly, and if you take the giant tsunami caused by the Storregga Slide into consideration, it must have been a total catastrophy. I wonder if the Irish, welsh, scottish legends about an drowned land. came from. I remember reading recently that the myth of Hy Brasil might be section of land thats off the sw part of ireland. and the sat view of Europe as it would have been does show that area as habitable as well. Kêr Ys, the kingdom was protected from the sea by floodgates. One day the keeper of the sluice gates was drunk and failed to close them, with the result that the sea flooded the land. Some versions name the keeper as Seithenyn, and there is a story about him having been distracted by a woman, Mererid, who kept the keys to the sluices. Or maybe it was a fae responsible for the mess. Llys Helig was the palace of Prince Helig ap Glannawg who is said to have lived in the 6th century, and whose sons are connected with the establishment of several churches in the area. Helig owned an area of land between Llandudno and Conwy which was later inundated by the sea. Like Vineta's shadows in clear water, it is said that the remains of Llys Helig can be seen at low tides. Both fall under the chapter "legend" as there is no evidence for either. got to start somewhere, and so far legends have led to more than one find that rewrote what we knew. Ubar, troy, pompei, Mohenjo-daro, the hanging gardens.. the scorpion king, the seven temples,... the list goes on. Okay Pompei was found by accident.. but there were legends of it. and the Seven temples, were only found after the tsunami but again there were legends. so I added them. the point being, that I personally don't dismiss legends as being pure bs. Often there is a grain of truth in the story. and as far as Im aware there are archeologist, who tend to agree. plus currently Marine archeologists have been diving on sites off of England and Sweden. Ive only seen a few stories about the English finds. Okay Pompei was found by accident.. but there were legends of it. If you consider first-hand reports by known Roman philosopher/historians "legends". I don't think most people would, though. Ditto the Hanging Gardens. And kmt may correct me, but I'm not sure the Scorpion King is still anything but a legend. Mohenjo-Daro /was/ found by accident; the archaeologist was lead there by a Buddhist monk who thought it was a stupa. But that's hardly a find via mysterious legends. Nor am I certain anyone's actually /found/ an Ubar that matches up with the legends around it. Nor did any of those finds (including Schliemann's find of Troy) re-write anyone's understanding of history. It was almost exactly the opposite in each case. To be fair, I'm not sure what the Seven Temples are, so they may well have been legendary, but otherwise it seems like your enthusiasm exceeds your grasp of facts. Often there is a grain of truth in the story. and as far as Im aware there are archeologist, who tend to agree. As the above shows, sometimes there is, sometimes there isn't. Since there's no a priori way to tell the difference, legends are not used by any serious students of history or archaeology as a basis for research. its an interesting site, the project funded by the Aggregates Levy Sustainability Fund and administered by English Heritage are in the process of mapping the paleo landscape of dogger land. the links section has some really interesting links. ...and I see my link is also on that site. I know that William Ryan's and Walter Pitman's Black Sea Deluge Hypothesis is flawed, but it sort of gives a direction in which to look for doggerland! I know the flooding of the Black Sea may have been much less catastrophic than prevously thought by Ryan and Pitman, and to quote something I posted here earlier, people didn't have to 'run for the hills'. But the Storregga Slide which I have mentioned ad nauseum must have been a reallly catastrophic event for the people living on Doggerland. You must not forget, Doggerland was flat as a pancake, with maybe only the present Doggers Bank sticking out from the suface as a low undulating hill. The tsunami that resulted from the Storregga Slide was huge, one of the largest ever, and must have whiped Doggerland clean. So, you didn't get it either. Must have been a real effort, as a 'first post', eh? One of the earliest recorded names was Septentrionalis Oceanus, or "Northern Ocean" which was cited by Pliny. However, the Celts who lived along its coast referred to it as the Morimaru, the "dead sea", which was also taken up by the Germanic peoples, giving Morimarusa. This name refers to the "dead water" patches resulting from a layer of fresh water sitting on top of a layer of salt water making it quite still. Names referring to the same phenomenon lasted into the Middle Ages, e.g., Old High German mere giliberōt and Middle Dutch lebermer or libersee. Other common names in use for long periods were the Latin terms Mare Frisicum, Oceanum- or Mare Germanicum as well as their English equivalents, "Frisian Sea", "German Ocean", "German Sea" and "Germanic Sea" (from the Latin Mare Germanicum). But many living at present around the North Sea will know that it's nickname was 'Sea of Death' because of the many ships that went under during the frequent storms, so Morimasu could maybe also have meant "Sea of Death". But I don't speak Celtic, so I don't know if that is a possibility. Now, if it IS a possibility, then maybe (a BIG maybe) that name, Morimaru (or Morimarusu) could also hint at a much more ancient history, like the death of the people that once lived on the land that's now under the sea, Doggerland. But in that case, the Cimbri (or their ancestors) must have lived in Jutland/Denmark/Scandinavia for a much longer time.